What can we do to make Revelstoke living more affordable? 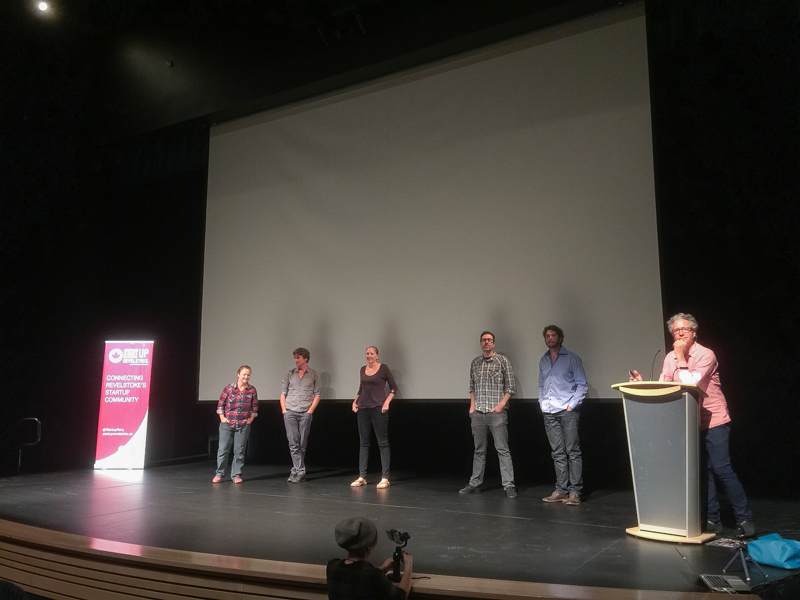 A group of Revelstoke panelists presented their ideas at an innovation night event at the Revelstoke Performing Arts Centre on Monday night. 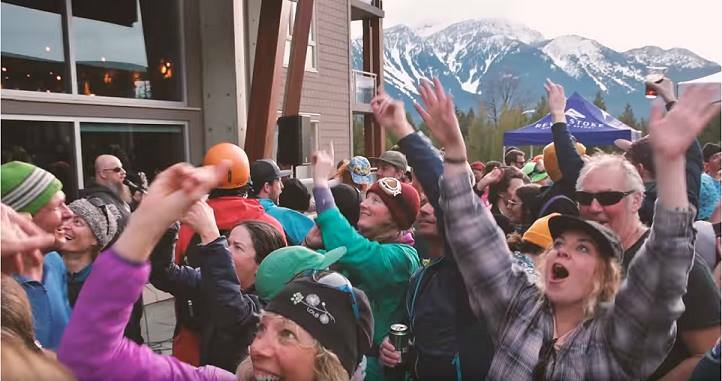 Did you move to Revelstoke for the lifestyle, but find yourself doing less and less of the lifestyle because you’re holding down two jobs just to live? Looking for that already elusive place to call home, but simply can’t afford what’s available? The burgeoning resort town of Revelstoke has been struck by the double whammy of rampant property values in B.C. and the same real estate value pressures that has hit mountain resort towns in North America. And real estate is just one piece of the affordability puzzle; the cost of food and transportation are also costly, significant pieces of the overall mountain living budget. So, there are problems, but what are the solutions? How can Revelstoke be more affordable? 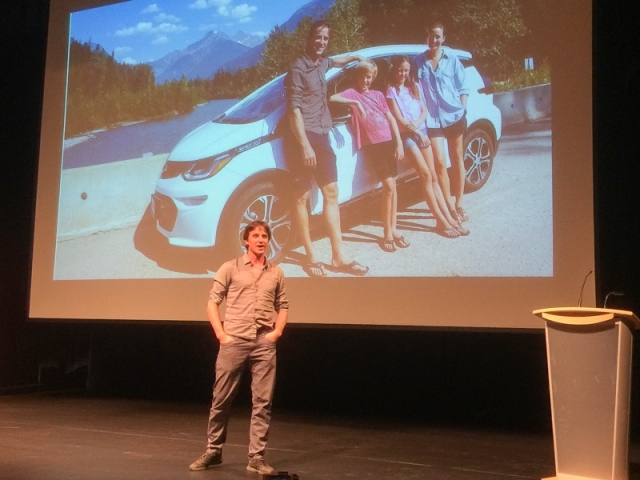 That was the topic of an innovation night hosted by Mountain CoLab and Startup Revelstoke (MCSR) at the Revelstoke Performing Arts Centre on Sept. 25. The event was emceed by Jean-Marc LaFlamme of MCSR. The event, which attracted about 100 people, was structured around five speakers, who each focused on a different aspect of the affordability puzzle. Here’s a summary of the ideas put forth at the Sept. 25 innovation night. Planner Fraser Blyth from Selkirk Planning & Design explored the concept of “missing middle” housing. He noted that the Revelstoke housing stock is primarily single-family homes, with few townhomes and apartment buildings in the mix. He explored various types of housing stock that just aren’t available here, showing how stock like apartments and townhomes can be integrated into the existing housing mix. He explored the Bainbridge Island Grow Community, which is located just outside of Seattle, Washington. It’s a small, self-contained community notable for its community gardens, solar power and an integrated, car-free core. Blyth said it was an example of the type of new thinking that could take hold here. His presentation focused on how community members could work to achieve different ‘missing middle’ housing. “I think sometimes with planning it seems pretty inaccessible to people,” Blyth said, adding the solutions start with residents. He said that housing is a “long game” that requires involvement over the long term. His solutions included getting involved in city processes like the city’s official community plan, starting a housing coop, or becoming a small scale developer. Blyth emphasized the need for long-term thinking in new housing development, including taking into account life-cycle costs. “Focus on building places that you want to live in, that people want to live in,” he said. 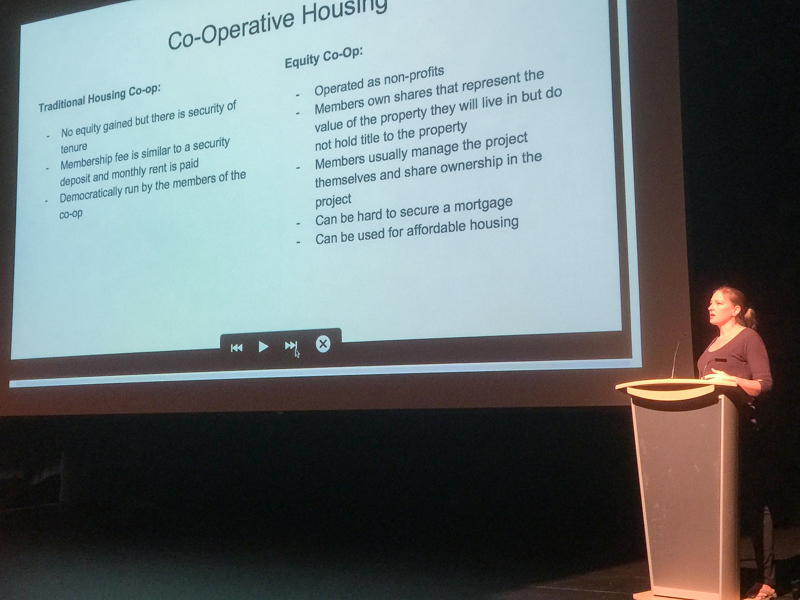 Bowlen, a lawyer with Selkirk Law Corporation, discussed the concept of co-housing communities. 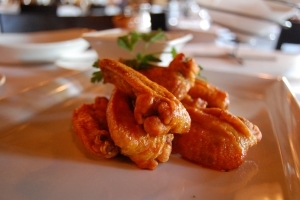 The first, more traditional model involves developing though a co-owned strata development. The second was co-operative housing, including different co-operative models. Traditional co-ops, where you essentially rent via an existing co-op, don’t allow the owner to gain equity, but ensure housing for the members, provided they follow the rules. The other co-operative model she discussed is the ‘equity co-op’, where members own shares in the cooperative and manage it themselves. She discussed the pros and cons. Some of the challenges include securing a mortgage for the project because of the lack of traditional collateral for the lender. Another concept that can work in combination with co-op models is ‘community land trusts,’ which are non-profits created to hold land for the benefit of the community. These land-holding trusts, often created and owned by municipalities, then becomes the vehicle to create affordable housing. “We could crate a land trust to build staff funding for businesses in town,” she said. Under that model, Bowlen said that businesses could contribute to purpose built housing for staff. Another land trust model could see individuals develop their own houses on land trust property. They won’t own the land, and when they sell, they’d only get to keep the profits from improvements on the land (i.e. the house), enabling the homeowner to recoup their equity in the land. 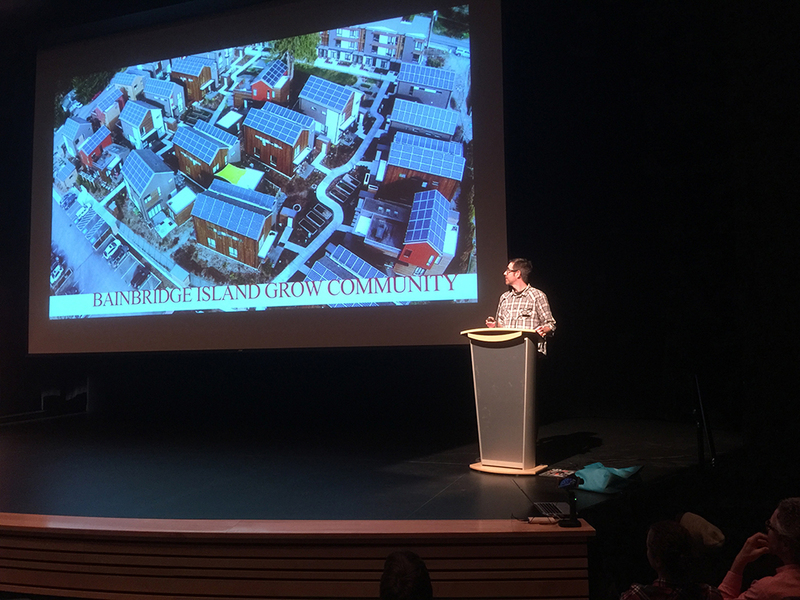 Tree Construction owner Greg Hoffart presented on passive homes and energy consumption, exploring the viability of solar power in the community. 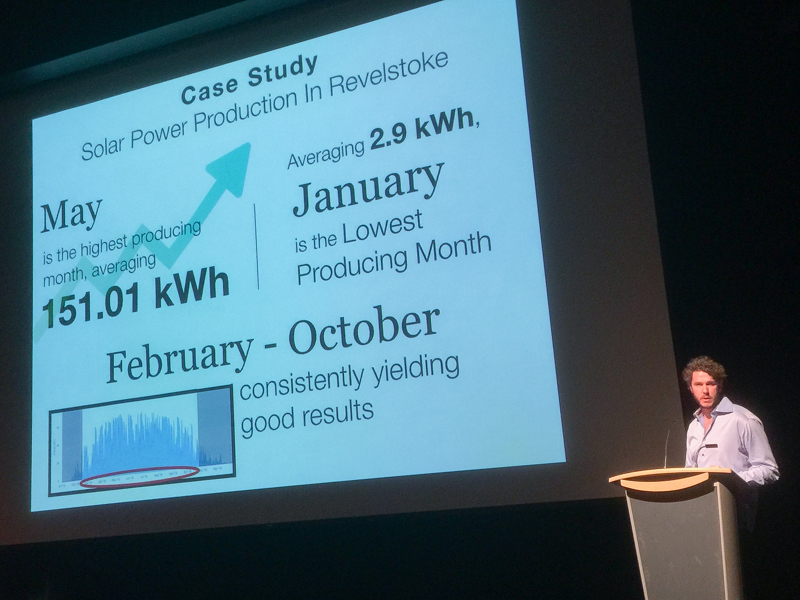 He presented the results of a study on solar power viability in Revelstoke, in which available sunlight was tracked over the past few years to determine how much electricity is available if you installed solar on a local home. He said it was about finding the right questions to ask. Saying that the scarves resource was the ability to coordinate a response to the issues. Revelstoke’s food security coordinator Melissa Hemphill talked about plans to redevelop Revelstoke’s food system. On Wednesday, she’s hosting a workshop designed to gather community input for the federal government. She said currently, only two per cent of Revelstoke’s food is ‘local,’ which actually means from within a 250-kilometre radius. The keys include access to land, the knowledge to cultivate it, and the ability to process and cook it. What about the impact of mountain lifestyles on transportation CO2 emissions? Local mountaineer and adventurer Greg Hill contemplated his footprint and decided to make changes. He found that he could get by without the two-car lifestyle, then opted for an electric car. He went on an ‘Electric Adventure’ tour with fellow backcountry skier Chris Rubens, travelling down the West Coast to ski peaks and prove it can be done with an electric vehicle. “What can I do as an adventurer? Can I still get out there?” The answer was yes. 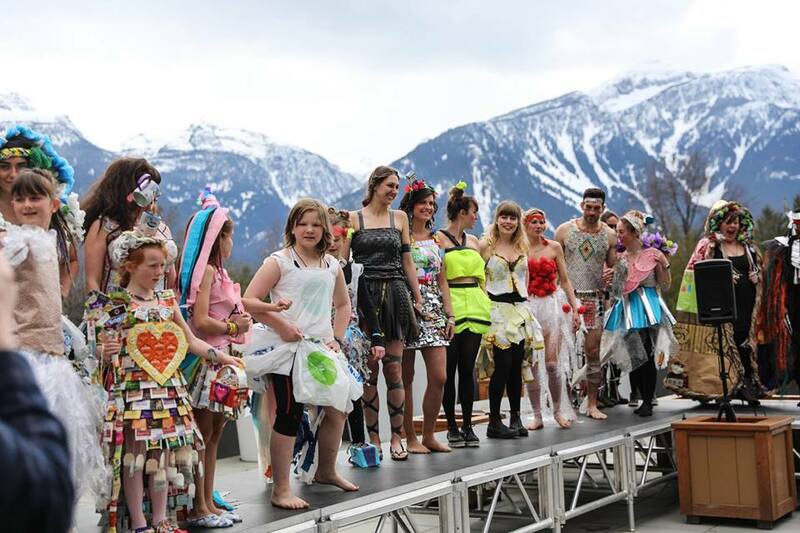 The innovation night event was part of an ongoing series hosted by Mountain CoLab and Startup Revelstoke. 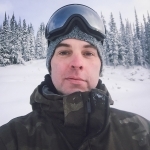 Disclaimer: The Revelstoke Mountaineer office is located in the Mountain CoLab and the writer is a member of the co-operative.